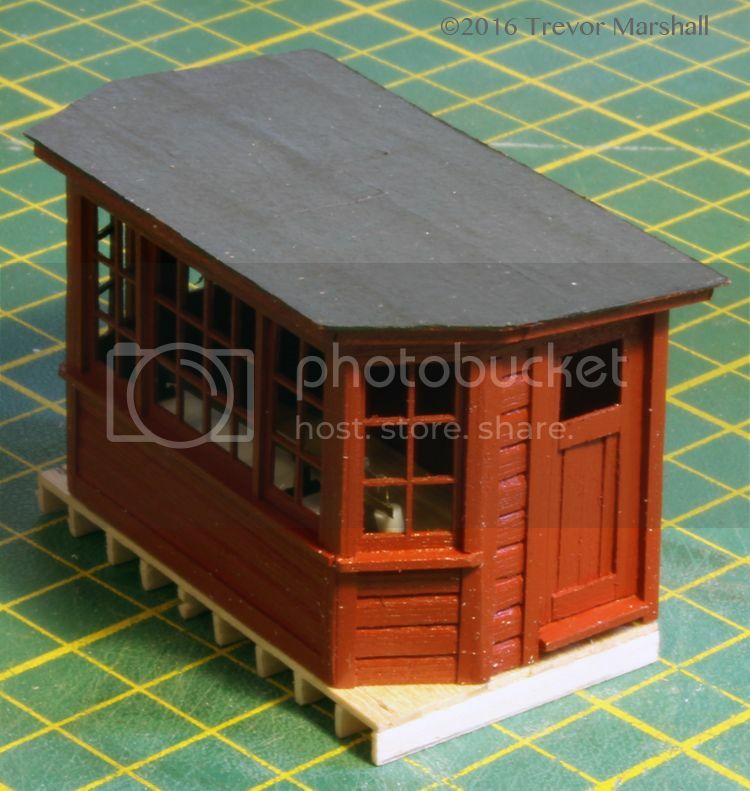 Back in the summer, I acquired a Moffett Models kit for a CNR scale house. I thought I’d get to the project sooner, but other things came up. Regardless, this project is now on my workbench (or, more accurately, my kitchen table). The kit is very nice, but consists largely of cast-resin pieces and I prefer to represent wood with wood. So after careful consideration I decided I would use the pieces as patterns to scratch-built my own structure. I’ve used the kit’s laser-cut window mullions, but in my own walls, building them up board by board. The kit is based on a CNR scale in Brantford, Ontario. I also worked from a photo of a similar structure in Palmerston – this one showing clapboard on the rear wall, with novelty siding elsewhere. I built up my own clapboard, using a piece of clapboard styrene sheet as a sub-wall, to which I glued individually distressed boards. The styrene clapboard creates an excellent guide for laying in the boards. I also created my own novelty siding by scraping and sanding down the top edge of each board to represent the narrow edge that goes underneath the board above. These were glued to thin plain styrene sheet. The window frames and the door were built from pieces of stripwood of various sizes. 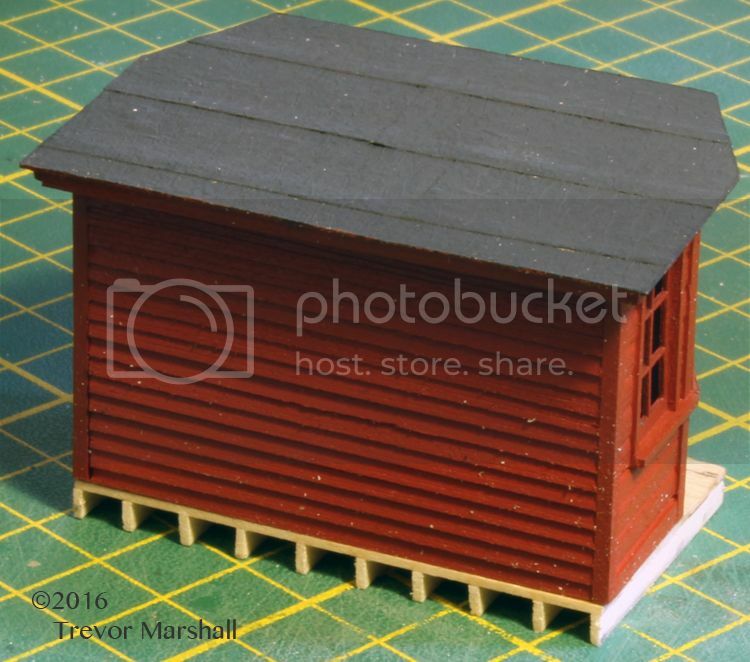 I airbrushed the assembled structure with Scalecoat CNR mineral red, while the roof is a piece of thin styrene sheet covered with masking tape brush-painted grey-black to represent tarpaper. I cut microscope slide covers to size for the window glazing, and secured them in place with Microscale’s Krystal Klear. The lead photo for this post shows that I’ve added two stacks behind the scale house. These are often mistaken for stove pipes – but are actually the ventilators for the scale pit. I’ve also fabricated the tops of the concrete pit walls from strip styrene, and added a door next to the scale house to provide access to the pit for maintenance. Scrounging in my Home Hobby Shoppe turned up some O scale boxcar door hardware and hinges to detail the door. 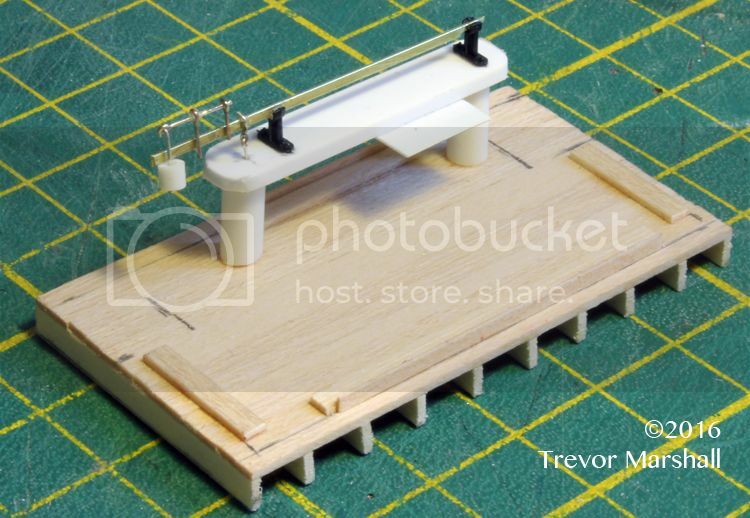 I will build the top of the scale pit – including live and dead rails – on a piece of styrene that will fit between the tops of the concrete walls. This will make it easier to secure the rails without damaging the structure. There are still a lot of details to add to this track scale, including working lights to the scale operator can read reporting marks on the equipment being weighed. As I work on these details, I’ll ponder what to do with my scale house. I still like the idea of creating a small module for the S Scale Workshop exhibition layout. Meantime, I’m enjoying learning about these important pieces of railway equipment. 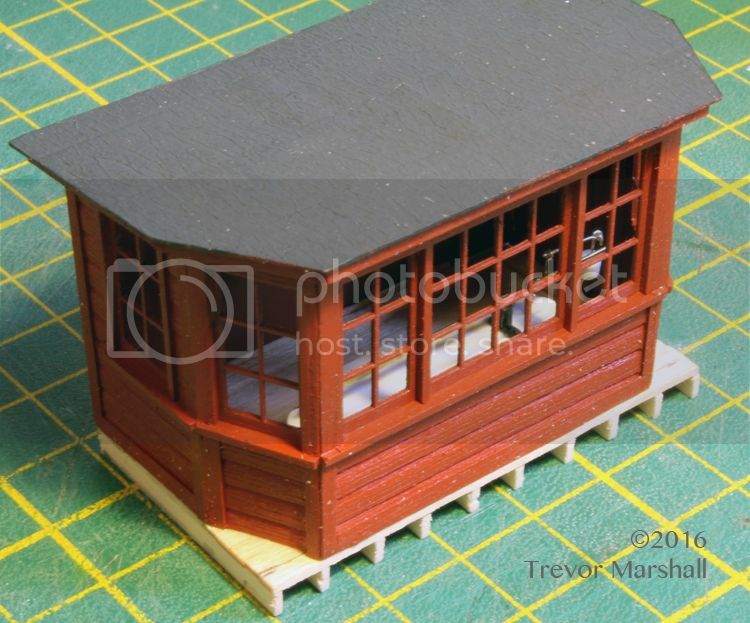 This entry was posted in Beyond Port Rowan in S, S Scale Workshop, Scale House and Scale Test Cars by Trevor. Bookmark the permalink. That’s a great looking little model, Trevor. Like you, I’ve admired these things and would like to have one, but really don’t have a suitable place. Go ahead and put the thing on a module. At least you and others will be able to enjoy it there. I anxiously await the final installation, complete with flood lights. P.S. Don’t forget the door knob! I really like your model scale house with interior. You are an excellent modeler. 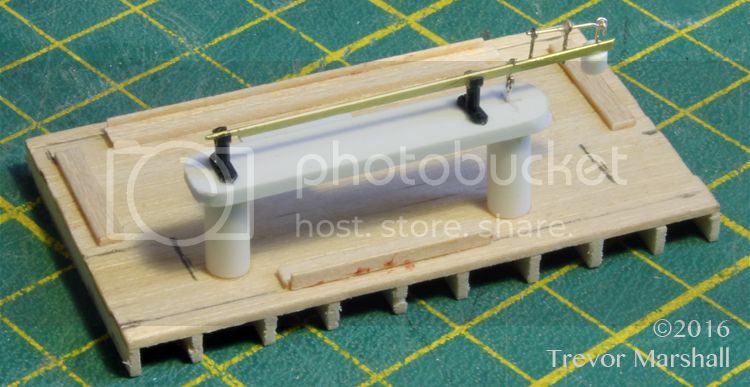 I also will be building one in HO when I get to the Parlin,NJ section of my Raritan River Railroad layout. The Dupont plant had a track scale and I understand that the railroad had access to it for weighing cars for their customers. I would like to build an operating one and include its use in operating sessions. It’s great to read about your progress. Please keep the posts coming. Trevor, I’ve been busy building a model of the Coal Dock that stood at Palmerston from 1920 to 1959, and, from some photo references I have of that structure, I noticed a small building right across from it. I had no idea what it was until I saw your model of a Scale House. Now I know, Thanks! Of course now that I know this I must build a model of it! 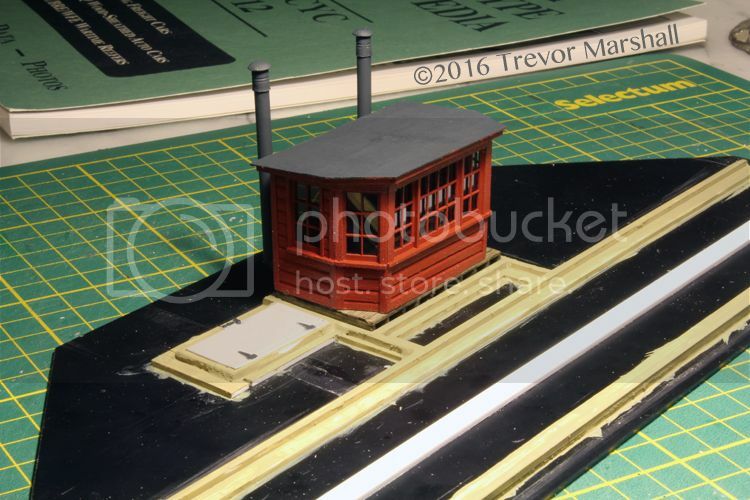 After I complete the coal dock I will be drawing up some plans in preparation for a prototypical version of the one that served at Palmerston (or as close as I can muster). Question, is there a source of information you can point me towards, which may help give me a fuller understanding of the function of this structure? Great to hear from you and I’m glad I’ve helped answer a question about the scale house in Palmerston. For a tremendous amount of prototype information, check Volume 12 of the Railway Prototype Cyclopedia. It’s a must-have resource for anyone who wants to understand how scales work. When looking for the link, I realized I had not tagged that post in the “Scale House and Scale Test Cars” category. I’ve now done that. The category link includes all of my posts on this project.